At only 4.8 x 3.0 inches in size and 1.25 inches in height, the device supports HDMI in (up to 1080i) comes equipped with a 3.5mm line-in audio input jack, 10/100 ethernet port, built in wireless 802.11 (b/g/n) and supports 3G, 4G and LTE connections via a USB adapter. It can run for up to three hours on three AA batteries, encodes video in H.264/AAC up to 720p at 2.5Mbps and will start shipping next month. The built-in OLED screen means you don't have to lug around any kind of monitor and the simple LED indicators and two button controls make it really easy to use. While the market is filled with some really good encoding hardware from the likes of NewTek, ViewCast, Digital Rapids and others, those solutions are enterprise grade and cost thousands of dollars or more. Livestream's product is really geared towards the professional webcaster who doesn't have complex setups, isn't doing multi-camera shoots, can output 720p instead of 1080p and needs a product that's reliable, affordable and easy to use. The encoder exclusively ties back into Livestream's platform where customers can stream unlimited live video, commercial free, for only $45 a month. Some might see that as a limitation of the device if they want to use their own network for the delivery, but that's not the target audience Livestream is going after since most professional webcasters and even content owners, want and use a SaaS based webcasting platform. 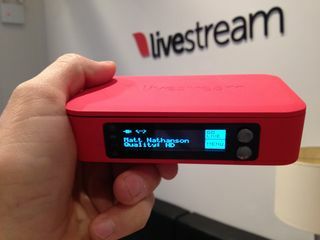 It's also one of the reasons Livestream can keep the device so affordable at the $495 price point. 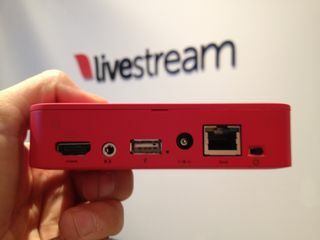 Clearly Livestream's not trying to get into the hardware business as a money maker, but rather is applying the Apple mentality of helping to subsidize the hardware costs to get customers to use their platform. 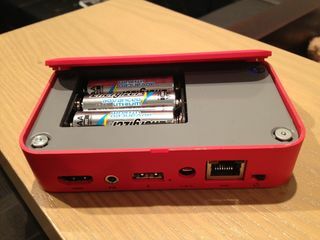 And if the device works as advertised, they should have a lot of success in doing so.